People cruise down California State Route 17 every day, speeding over Moody Gulch without a second thought. 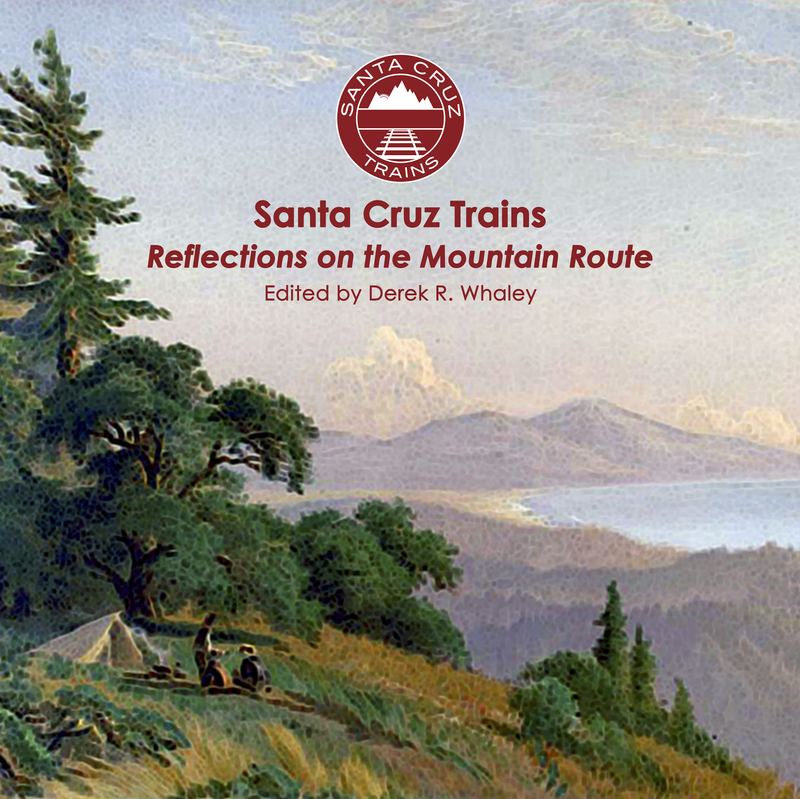 Over a century earlier, in 1879 and 1880, dozens of Chinese construction workers for the South Pacific Coast Railroad lost their lives in the Summit Tunnel when methane and coal deposits ignited within deep, black bore. What do these disparate things have in common? Oil. The upper Los Gatos Creek basin has a lot of it. In 1861, lumberjacks working for David B. Moody found pools of oil floating in Los Gatos Creek. It quickly became a land rush as oil prospectors from across the western United States crowded into the hills, competing for space with the numerous lumber mills which were still quite active in the mountains above Lexington. Some semblance of reason return in April 1865 when the Santa Clara Petroleum Company began drilling the gulch. However, it was the nearby Shaw & Weldon Petroleum Company that actually hit pay dirt shortly afterwards. Neither could pull enough oil to make a profit and both closed within a few years. 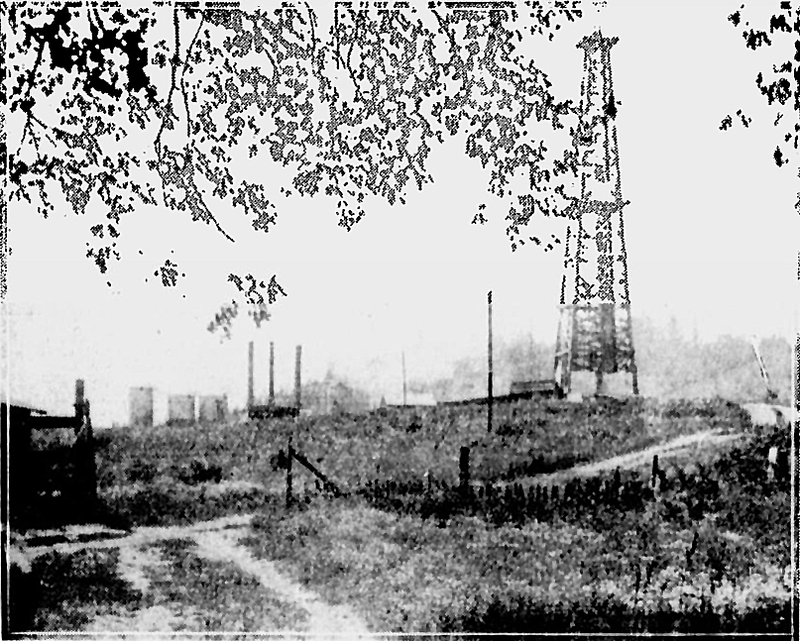 In 1878, the Pacific Coast Oil Company established a deep well in the Moody Gulch oil field. His company would eventually average ten barrels of oil per day—a low yield but enough to make it one of the more profitable oil operations in California. The installation of a well in 1878 was no coincidence. 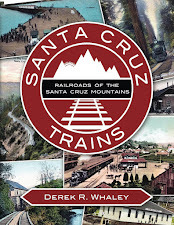 The South Pacific Coast Railroad had just finished constructing its route to Los Gatos and grading work had already commenced along the line to Wright's Station. Across from the bottom of Moody Gulch, the McMurtry family owned a large parcel, a portion of which they donated to the railroad for its right-of-way. It seems likely this was a commercial investment. 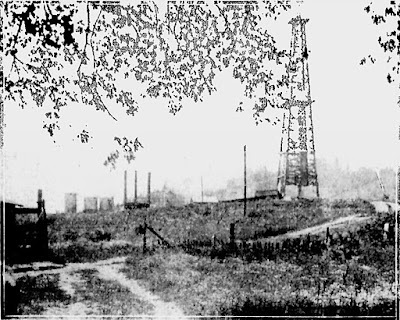 The stop was soon named Oil City after the famous Pennsylvania oil field, and there may have been some hope that a thriving oil town would appear at the site. In the end, though, Oil City remained just a freight stop, never appearing on any timetable. The site probably had a platform for loading and there may have been a siding or spur since there is plenty of room for one, although one is not mentioned in the surviving records. In any case, the Pacific Oil Company immediately began using the location to ship out its oil. Oil was piped to a tank beside the tracks and then it was barrelled and loaded onto flatcars. The company built a refinery in 1879 on Alameda Point to refine the oil for public consumption. In 1888, the San José Gas Works took over the operation, which finally shut down seven years later. It is estimated that 98,000 barrels of oil were extracted from the Moody Gulch oil field in the 77 years that companies operated in the region. Later attempts to extract oil from the gulch failed to produce profitable quantities. By 1900, the Southern Pacific Railroad decided to give up on the woebegone dreams of the previous generation. It renamed the station at the base of Moody Gulch "Oleoso," a fanciful Spanish rendering of the English oily. The station was renamed a third time in 1903 to "Aldercroft," possibly a reference to the alder trees that grew in the area. Indeed, it signalled a change in purpose for the region. By the turn of the century, the region was becoming known more for its orchards and vineyards than its oil. House values were on the rise as the local community became a popular hub for those wishing to move out of the Santa Clara Valley but remain nearby. In December 1903, the station first appeared on employee timetables as a flag-stop and it became a full station early the next year. In 1914, a 2,200-foot platform was installed for local agricultural customers while a shelter was erected for passengers. The passengers derived from the local Aldercroft Heights subdivision and the location probably brought few tourists, who would have been encouraged to visit other locations along the line such as Eva, Glenwood, and Big Trees. Aldercroft was abandoned by the Southern Pacific Railroad after the February 26, 1940 storm that crippled the entire line. Although it remained an active stop, few passengers patronised the railroad there and it proved an insubstantial loss to the railroad. The last oil company closed in 1938, although it does not appear to have used the railroad by this point. Construction of State Route 17 forced the open wells to be capped and a large earthen fill was built atop the top-most wells due to the highway's construction. The location of Aldercroft station is visible from the junction of Alma Bridge Road and Aldercroft Heights Road. If one looks south along the San Jose Water Company service road, the clearing on the other side of the fence is the station site. Nothing except an old semaphore foundation and the right-of-way itself remains. Access to the site is not permitted. California Division of Mines & Geology, Bulletin, Issues 19-20 (1900). Trying to find the exact locations of these stops and depots can sometimes be an arduous task and require meticulous detective work. In this case, I met a gentleman one day several years ago, while fishing at Lexington Dam, that had lived in Aldercroft for over 40 years. According to him, an old man from the Aldercroft area that had often traveled on the train had described the exact location of the Aldercroft Stop as being adjacent to an old mailbox on Aldercroft Heights Rd labeled 20600. This is in the general area of the intersection of Alma Bridge road and Aldercroft Heights Rd. There are a lot of railroad remnants in the Aldercroft area. Just north of the trestle below the road is a concrete battery box dated 1927, likely for the signals since I doubt there were ever any wigwags in the canyon. A short hike south from the Aldercroft station site are a giant pair of concrete supports for the trestle over Los Gatos Creek. The steel railroad span has been replaced by a smaller aluminum trestle for a water pipe. Below the trestle is a 20-foot spillway for the creek, a large pond and a fish ladder. It's hard to believe Los Gatos Creek was ever deep enough for an operational fish ladder. The trestle supports would have been built around 1900 when the line was standard-gauged. I don't know if the spillway and fish ladder were added later or built at the same time. I was once told the spillway, known as "Ryland Dam" was built in 1950, 10 years AFTER the train ceased running. Not sure if it's true, but it's what I was told growing up in Chemeketa Park. 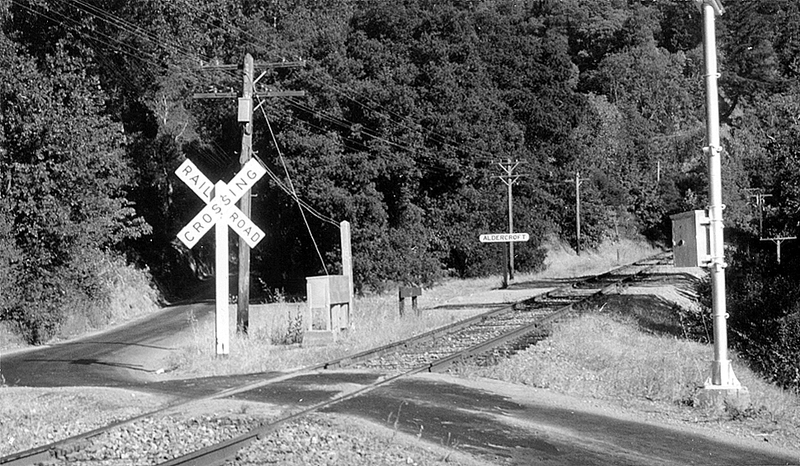 In your article, Wilbur Whittaker's photo of Aldercroft in 1938 shows most of a wigwag signal on the right side of the photo for the grade crossing there. I know of no others in the mountains aside from the Highway 9 crossing north of Santa Cruz and a warning bell at Laurel. Correct me if I am wrong, but did not Lupin Lodge, the nudist camp up the hill from Aldercroft open in 1936? The visitors to this place surely used the trains to go there on some occasions.